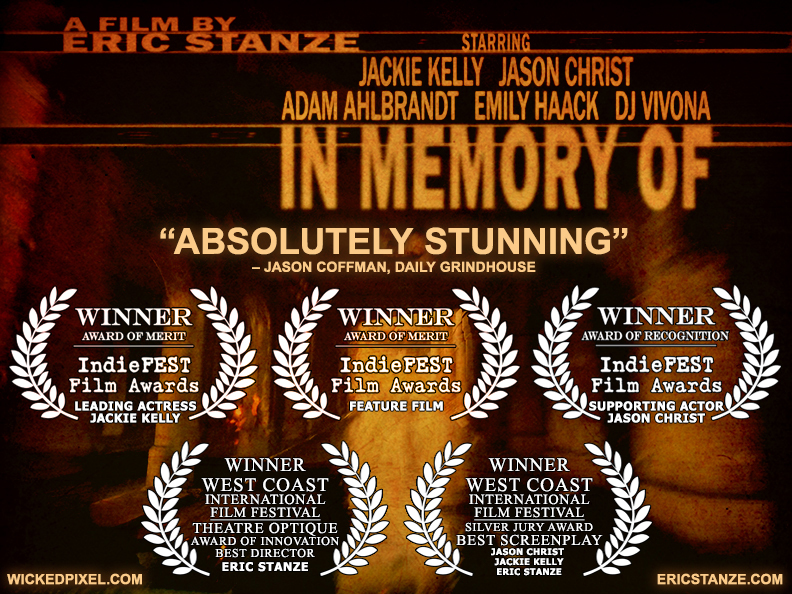 Eric Stanze’s IN MEMORY OF earned three wins at the IndieFEST Film Awards: Award of Merit for outstanding Feature Film, Award of Merit for Leading Actress Jackie Kelly and Award of Recognition for Supporting Actor Jason Christ. IndieFEST is an international awards competition established in 2008 to celebrate high quality, avant-garde filmmaking from around the world. Past IndieFEST award winners have gone on to win Oscars, Emmys and Telly Awards. IndieFEST is headquartered in La Jolla, California. 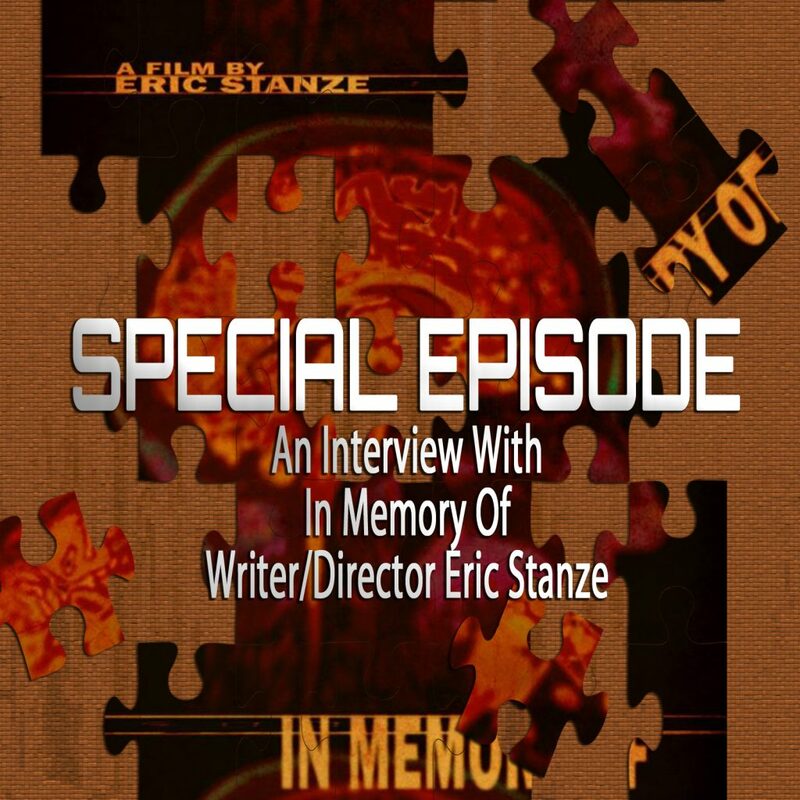 IN MEMORY OF writer/director Eric Stanze is interviewed by the Piecing It Together Podcast about the cinematic inspirations that fueled the creation of IN MEMORY OF. Put your ears to it here. The Two-Disc Blu-ray release of IN MEMORY OF is available here. Trailer and details about the film are here. 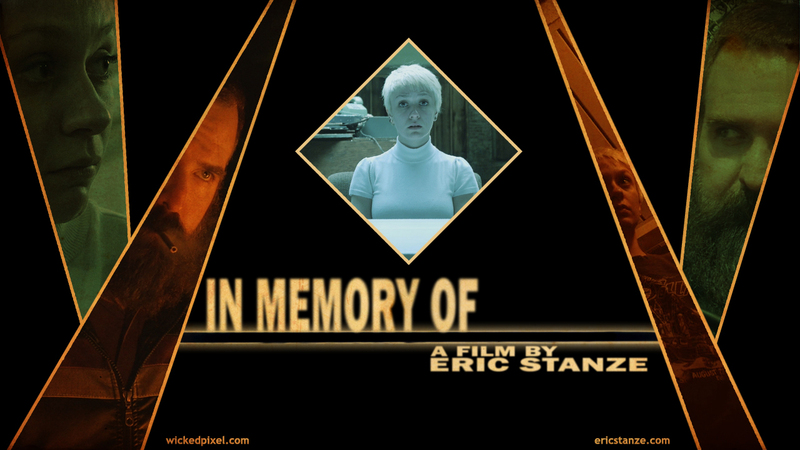 IN MEMORY OF stars Jackie Kelly and Jason Christ, who co-wrote the screenplay with Stanze. The film also stars Emily Haack (SCRAPBOOK), DJ Vivona (ICE FROM THE SUN), Jim Ousley (TENNESSEE GOTHIC), Gus Stevenson (DEADWOOD PARK), Haley Jay Madison (HEADLESS), and Katie Groshong (JUG FACE). 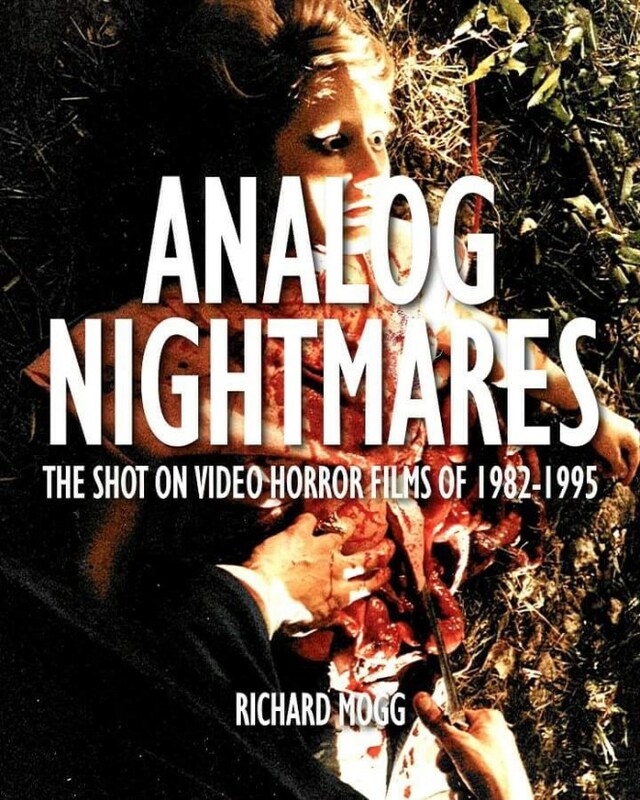 “Analog Nightmares” by Richard Mogg covers director Eric Stanze’s early movies and includes a six page interview with the filmmaker! Read up on the sinister seeds that would grow to become Wicked Pixel Cinema! A mountain of indie flicks and filmmakers from the VHS boom are covered in these pages as the author presents an epic and fascinating history of low-budget direct-to-video fringe cinema of the 80s and 90s. Order here! Click here to pick up the Two-Disc Blu-ray of IN MEMORY OF! 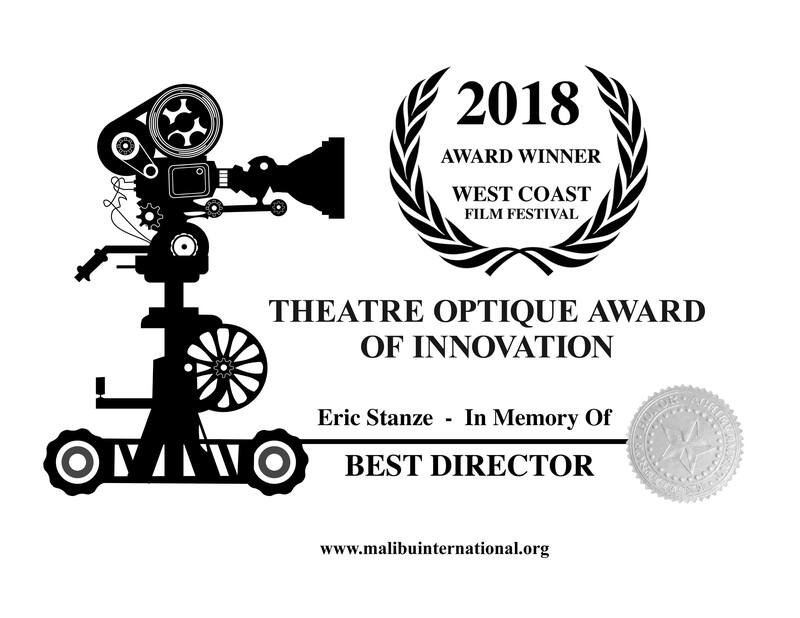 For Eric Stanze’s new film IN MEMORY OF, the West Coast International Film Festival awarded Stanze the “THEATRE OPTIQUE AWARD OF INNOVATION – BEST DIRECTOR”! 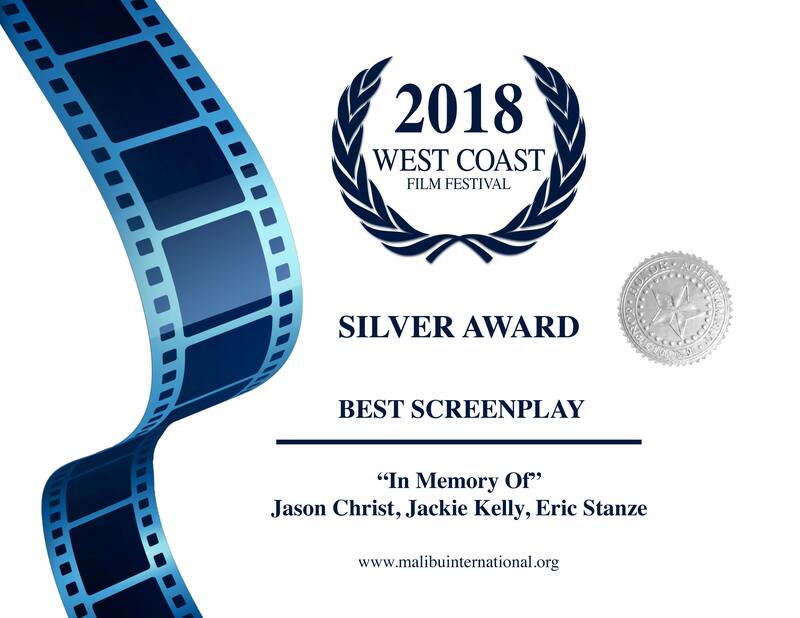 The fest also handed screenwriters Jason Christ, Jackie Kelly, and Eric Stanze the silver Jury Award for BEST SCREENPLAY! Order the Two-Disc Blu-ray release of IN MEMORY OF here!